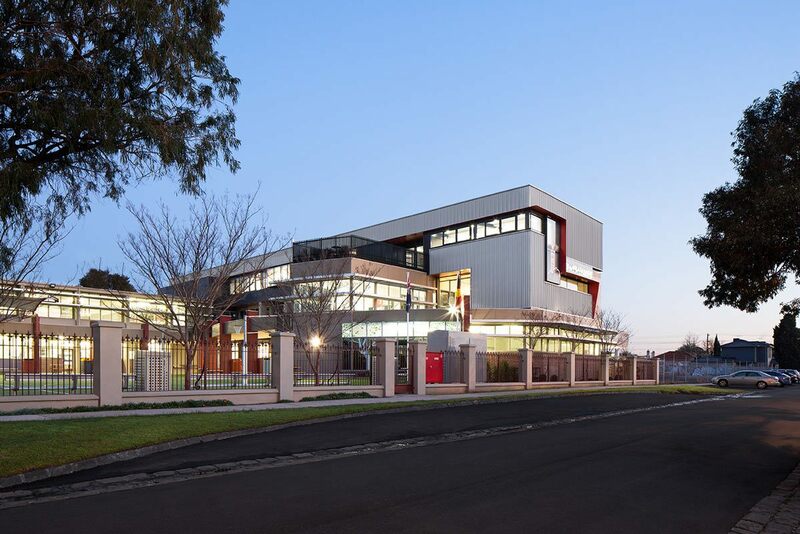 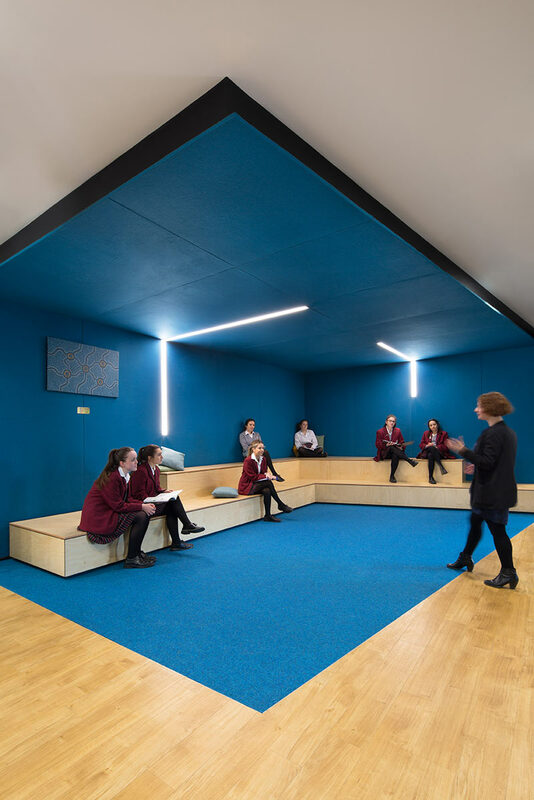 In a great example of what can be achieved when educational leadership meets architectural vision, the Mary Centre is a generously proportioned learning space that runs over three levels. 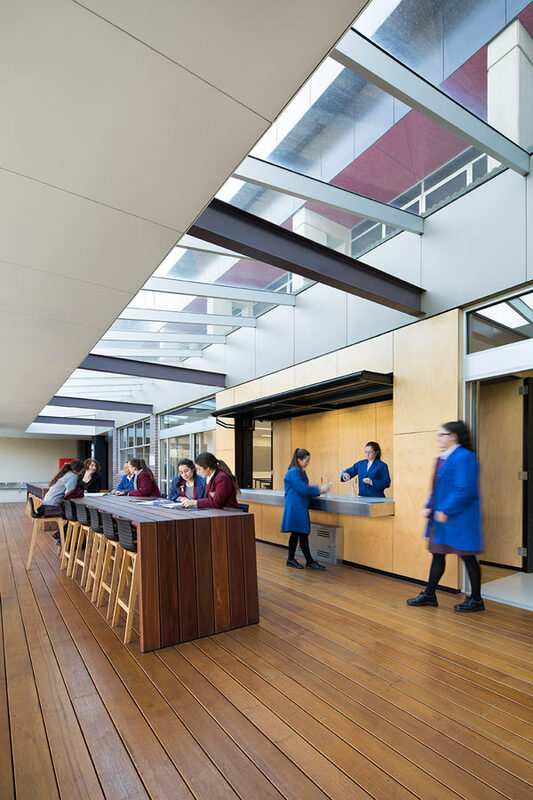 Heralding the school’s transition towards new education practices, the refurbishment and extension is a blending of old and new, and reflects the school’s evolving identity as a contemporary place for young women to learn and grow. 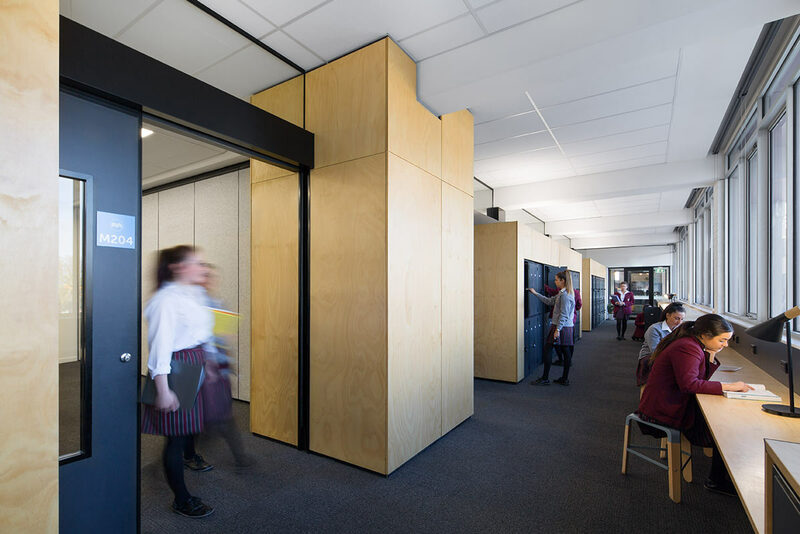 From a masterplanning process and strategic visioning workshops emerged a plan for new facilities and refurbishment opportunities to allow the school to grow, change and reaffirm its educational identity. 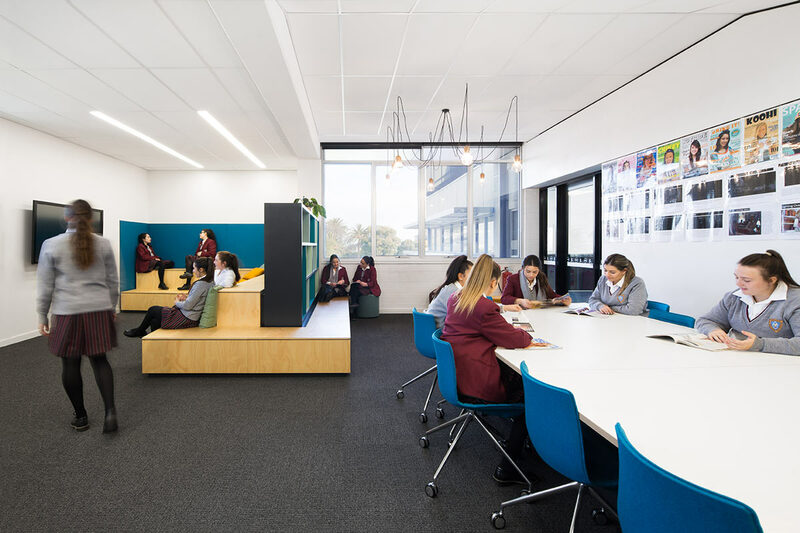 Crafted and constructed with precision throughout, each floor of the Mary Centre now provides functional spaces for both collaboration and individual learning, a powerful range of options for traditional explicit teaching and student directed learning, and presentation spaces. 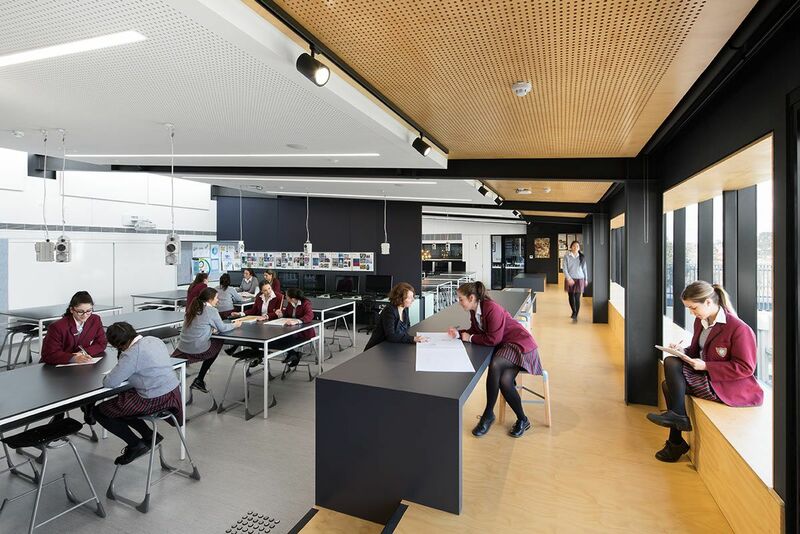 Facilities include research and science laboratories with an outdoor science bench, an informal tiered seating area for class groups to gather, and general learning spaces with both traditional and contemporary settings. 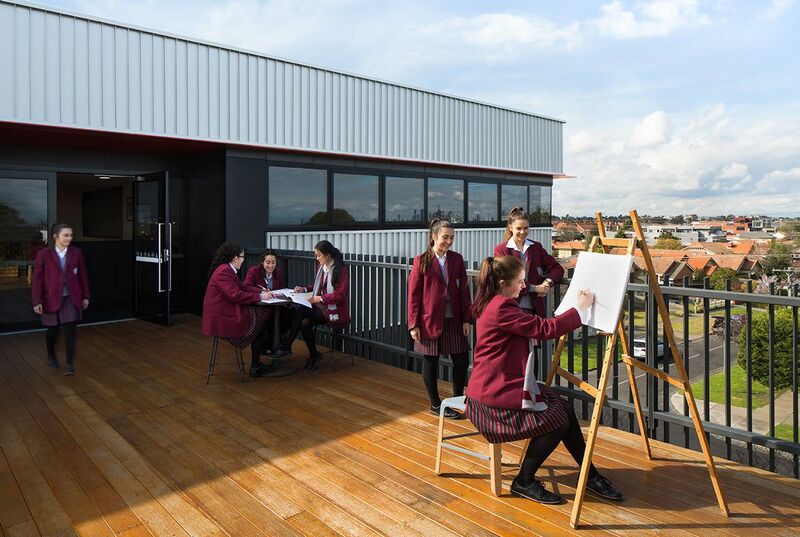 The Visual Arts and Media faculty is an open plan studio environment extending outdoors to a new open air studio deck, with a gallery space exhibiting works created by the students throughout the year.